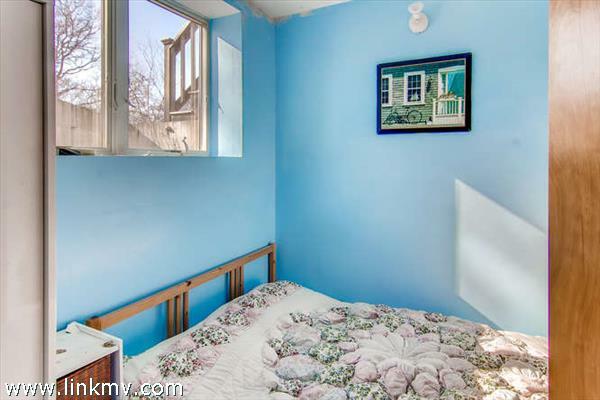 Floor 1: Finished walk out space includes two bedrooms with lots of windows and light. 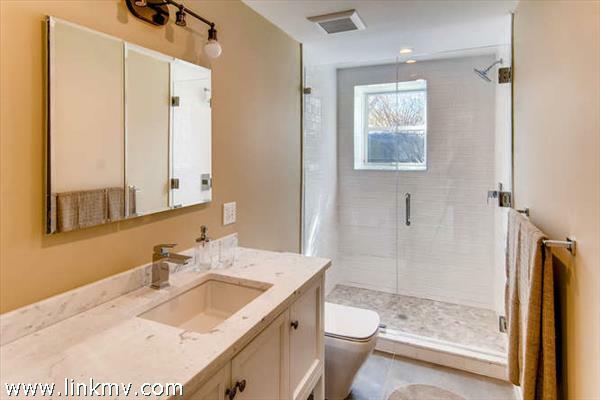 Each has their own bath, their own outdoor shower and their own stone patio for relaxing quietly. 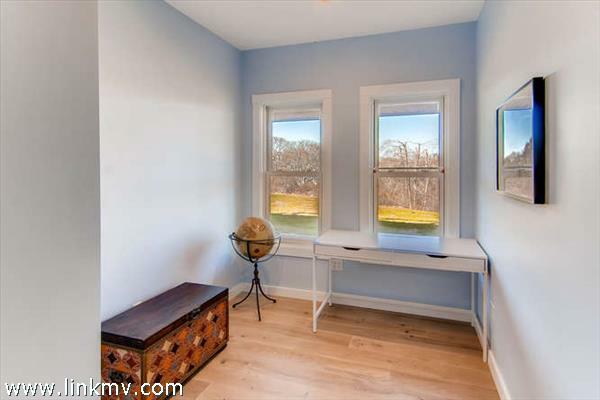 There is a third smaller room which could function as a separate office. 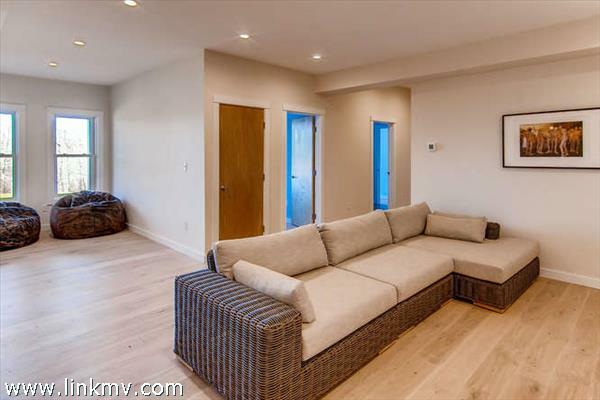 There is also an open family room which offers many possibilities and would be a fabulous space for a media room and/or an exercise room. 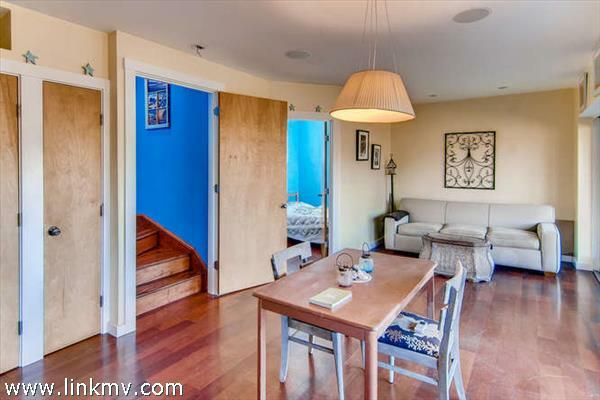 Floor 2: A spacious great room with living, dining, kitchen area and half bath. 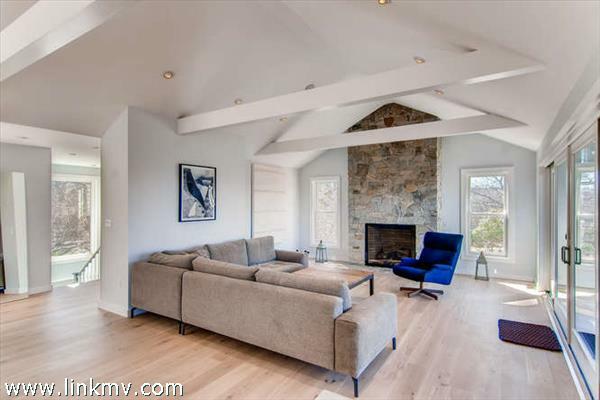 Beautiful stone gas fireplace is a focal point in the room. 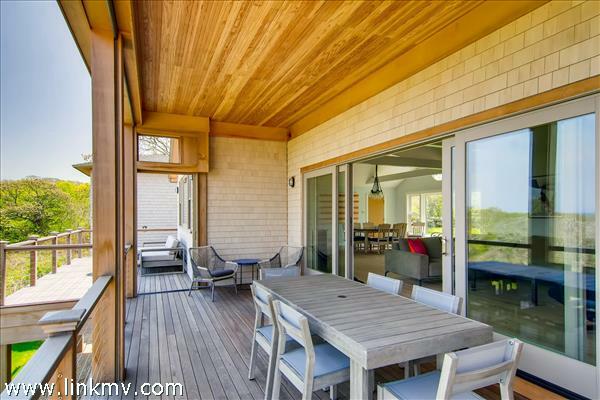 There is a deck and a screened porch (with retractable screens) off the great room. 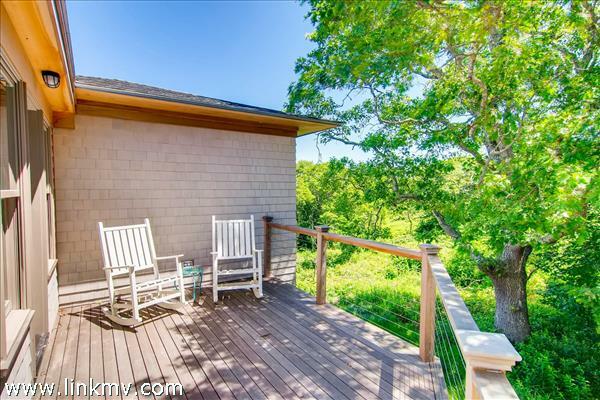 Sit inside or outside and take in the beauty around you. 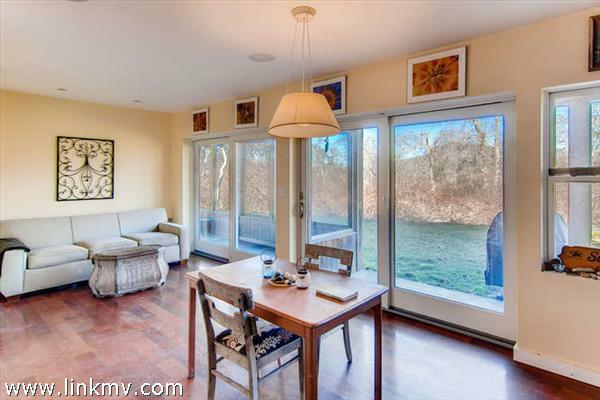 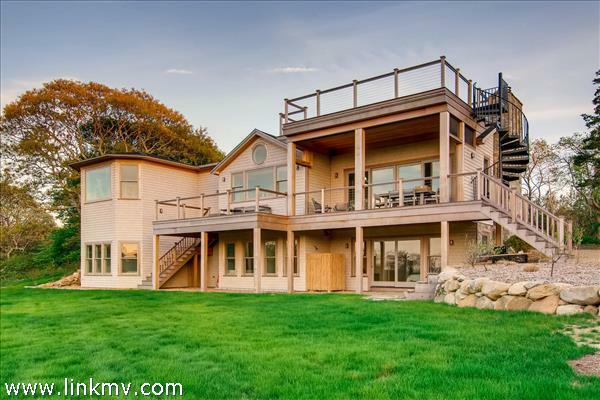 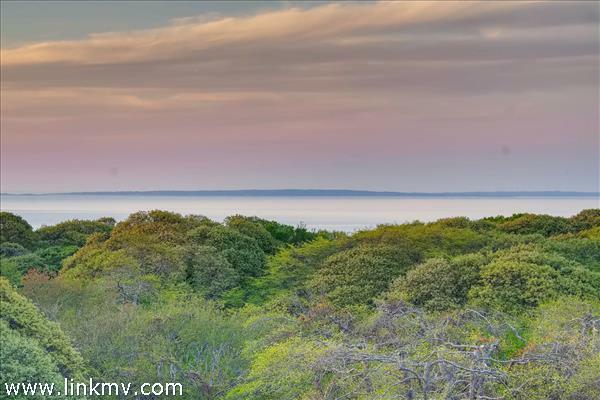 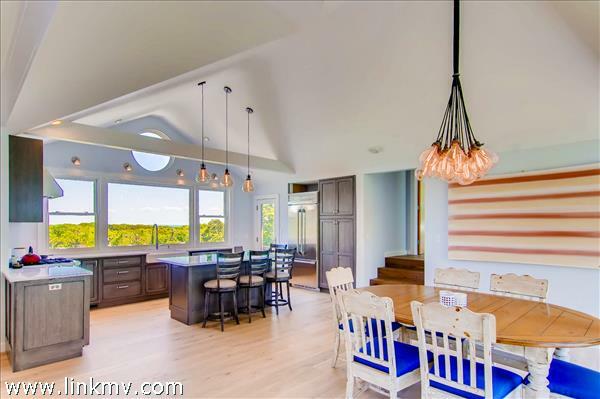 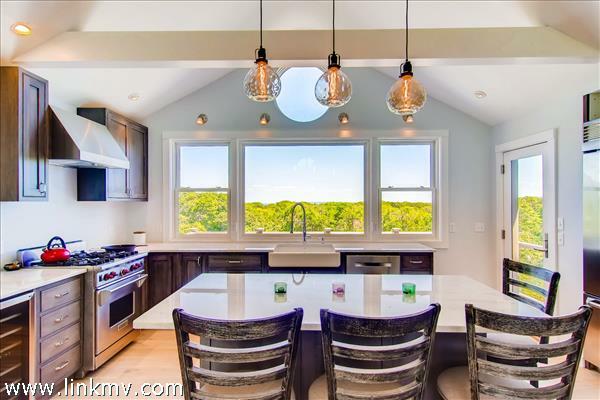 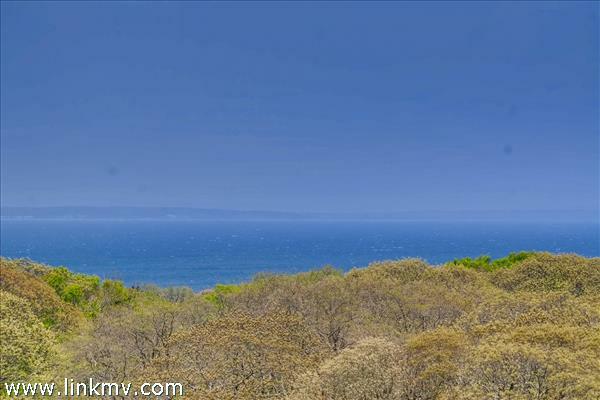 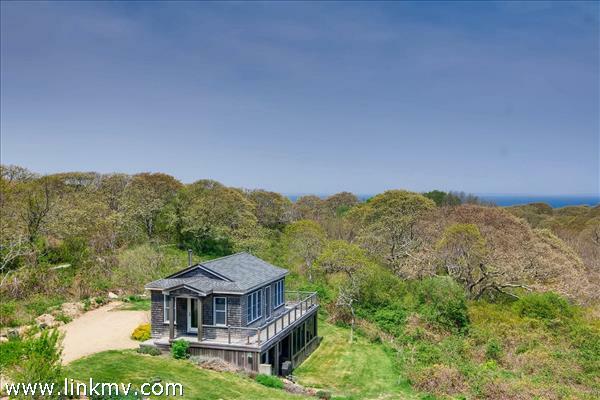 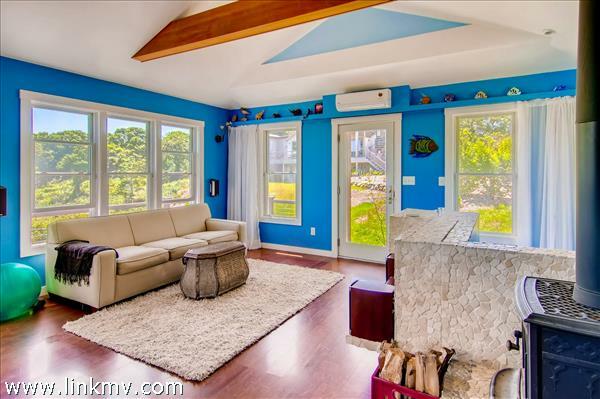 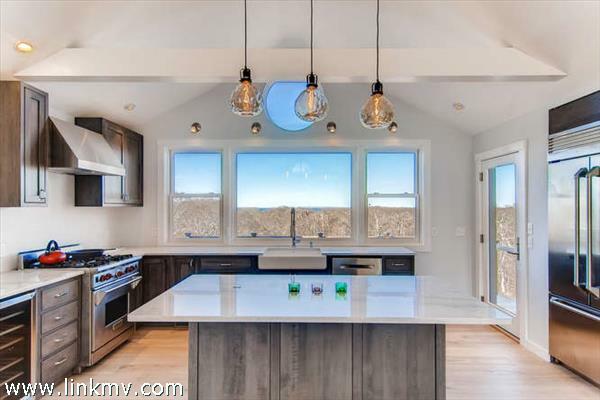 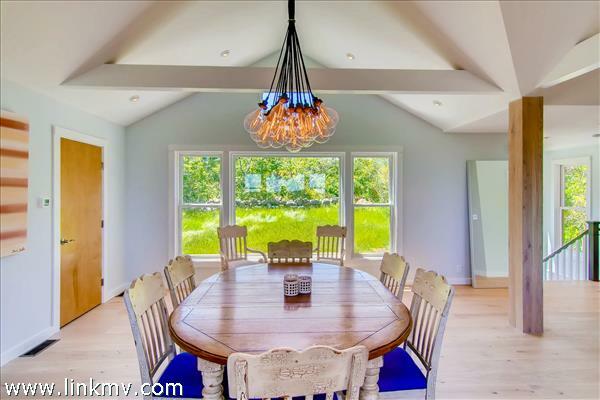 Enjoy views of the rolling hills out to the Vineyard Sound. 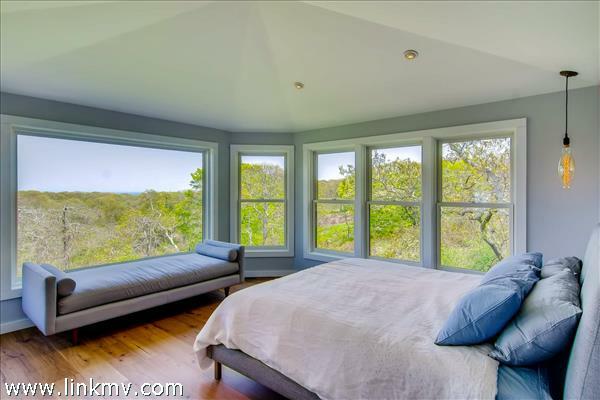 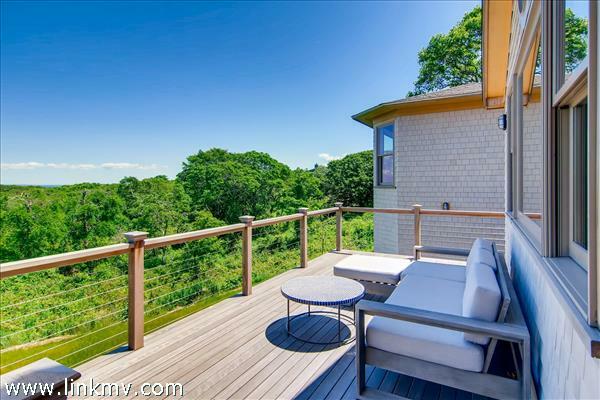 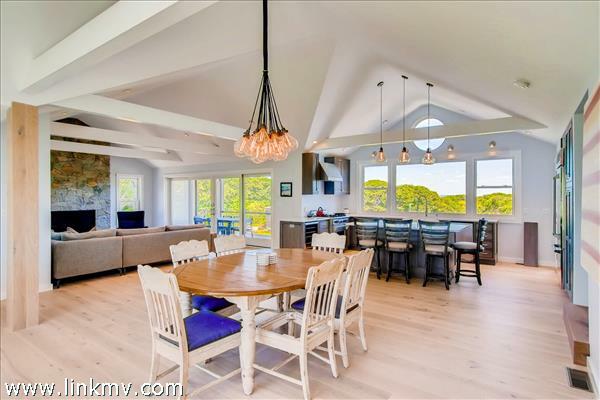 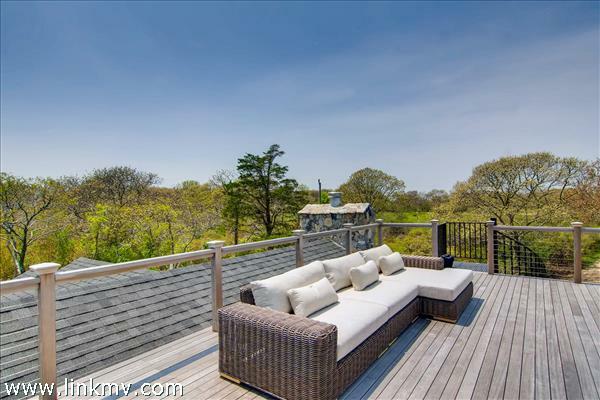 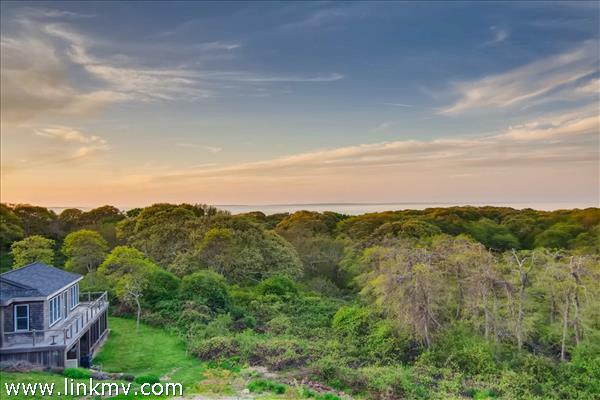 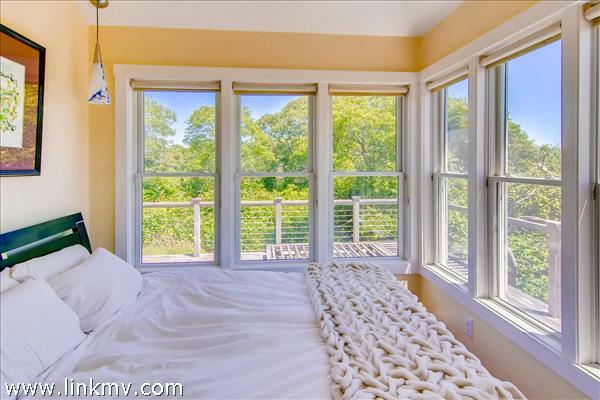 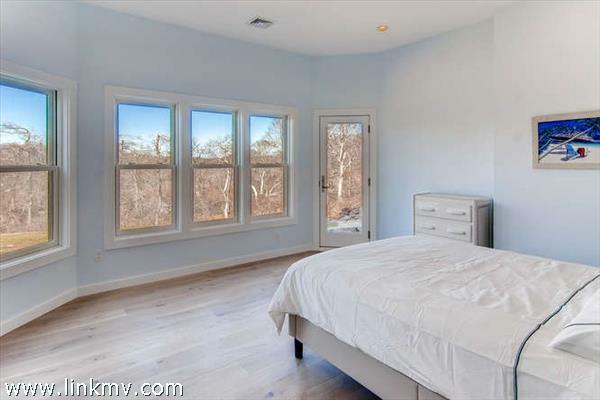 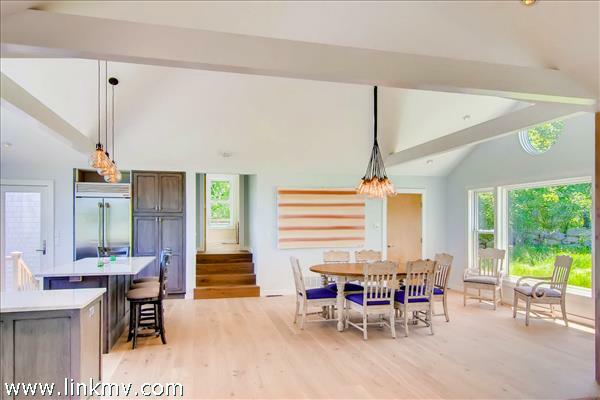 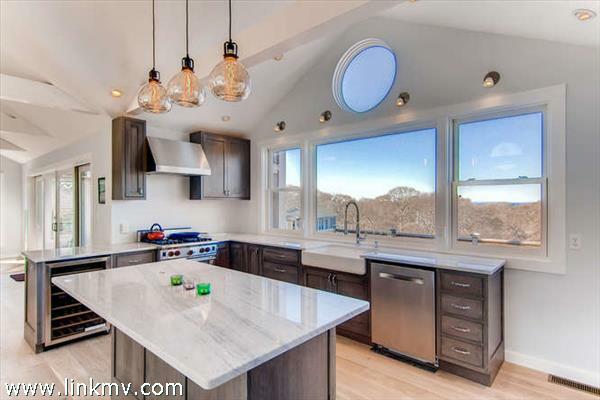 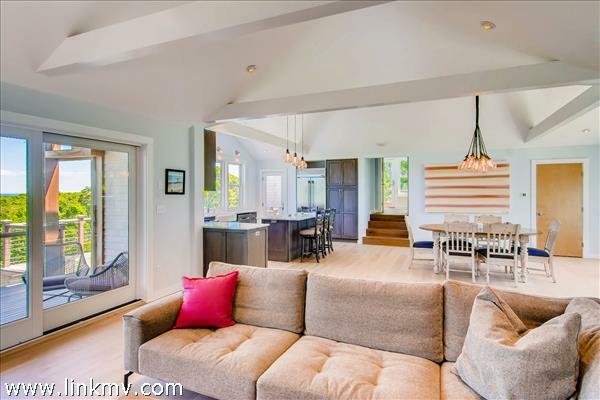 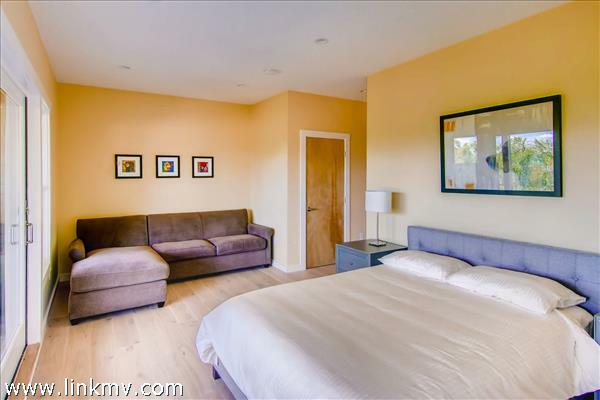 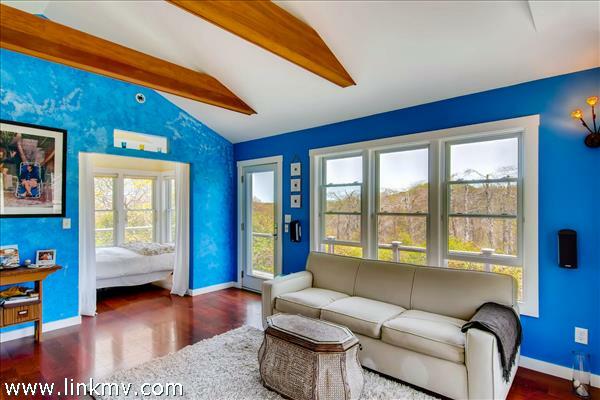 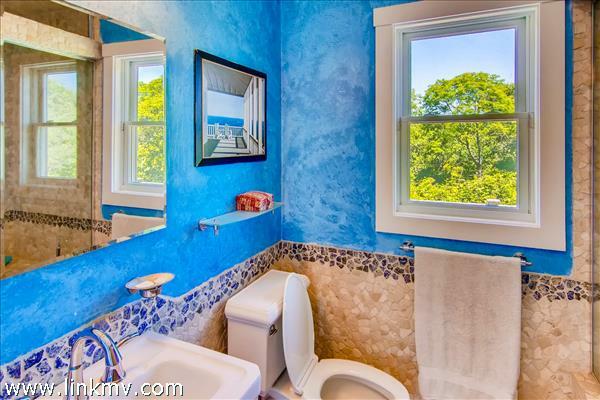 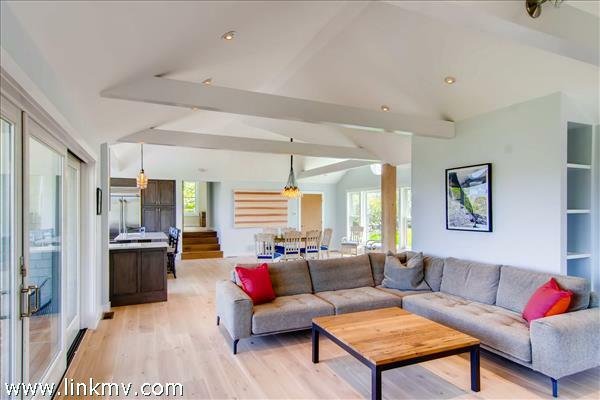 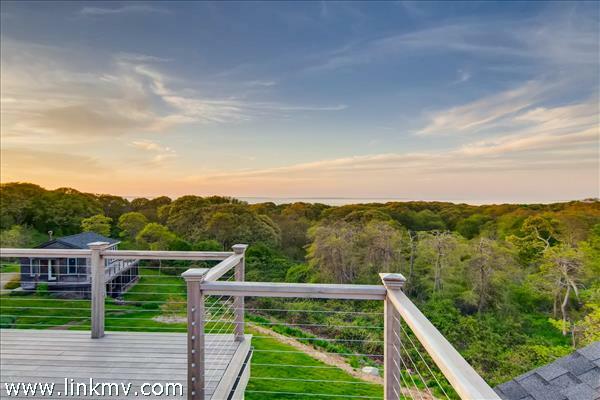 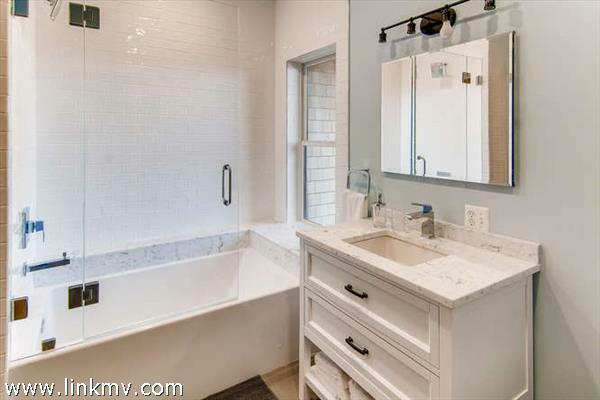 Several steps lead up to the luxurious master bedroom/master bath/walk in closet with views out to the Vineyard Sound and its own outdoor shower on a private deck. 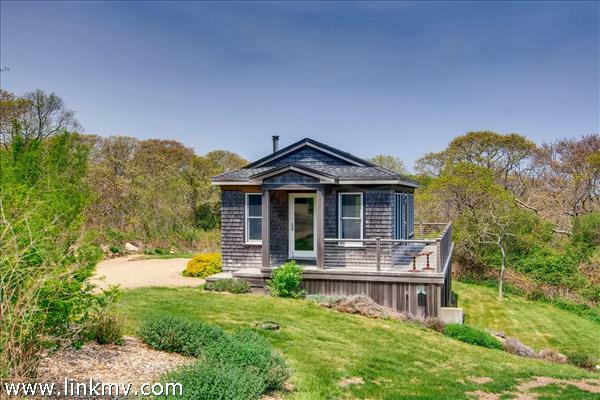 Other Buildings: Detached guest cottage (see description above). 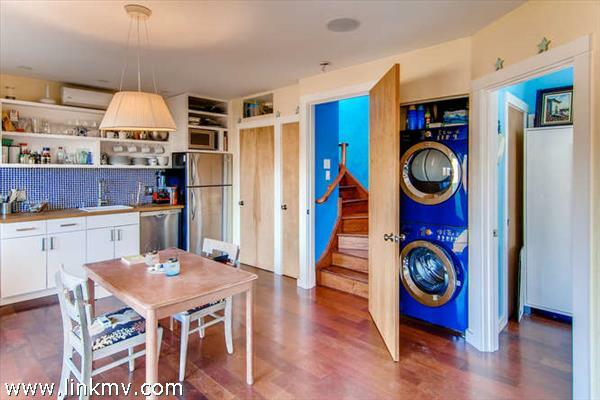 Storage shed for bicycles, beach chairs, toys etc.